No story about Shortwave broadcasting from Australia would be complete without reference to the beginnings of local Australian broadcasting, and this summary should be of interest to readers of this Project. Charles MacLurcan was issued with the very first radio licence in Australia for station 2CM. 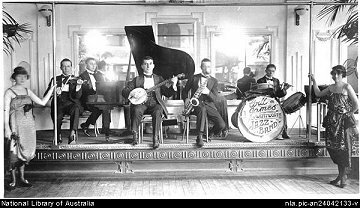 This was broadcast from the Wentworth Hotel in Sydney, owned by the MacLurcan family, and Charles broadcast popular classical music concerts every Sunday night. 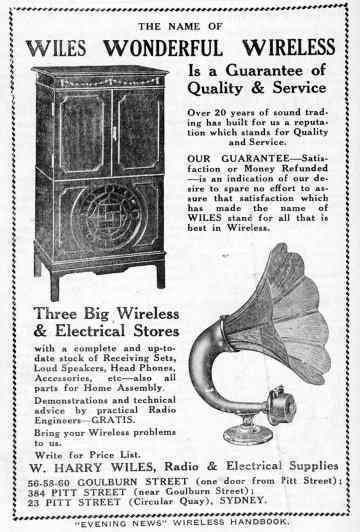 If you look at most histories of Australian radio, you won’t find mention of 2CM, nor will you find mention of almost 50 other radio stations that were on the air in1921 and 1922 – well before 2SB was granted the first commercial licence in 1923 and then changed its call sign to 2BL in 1924. Following intensive lobbying for the introduction of radio broadcasting, the Government, in May 1923, called a conference of the main players in the radio manufacturing industry. This led to the sealed set regulations where stations could be licensed to broadcast and then sell sets to 'listeners-in'. The receiving device would be set to receive only that station. 2FC in Sydney was the first radio station to be licensed on 10 September 1923 (going to air officially on 9 January 1924), but its opponent 2SB (later to be called 2BL) was first to go to air officially starting on 23 November 1923. 3AR and 3LO went to air on 26 January and 13 October 1924 in Melbourne. The Government introduced a two-tiered licence system in July 1924. In the first half of 1924, only 1400 people took out sealed set licences. It was quite easy for listeners to avoid the licence fee by building their own sets or modifying one they had bought to receive more than one station. The radio industry successfully lobbied the Government to introduce a two-tiered system, the 'A' licences to be financed by listeners' licence fees imposed and collected by the Government, and 'B' class licences to be offered to anyone else who wanted to have a go. The B stations would have to generate their own revenue through advertising. A class stations could also advertise but few did. This system was an amalgam of the British system where the non-commercial BBC had a government-imposed monopoly and the USA where the free market was the driving force. The 'A' class stations were the original sealed set stations plus one in each other capital city - 2BL, 2FC, 3AR, 3LO, 7ZL, 5CL, 6WF. By years end, 40,000 licences have been issued. 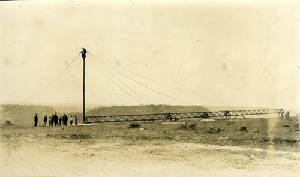 South Australia’s first radio station 5CL (A class) went to air on November 20. Number of licences issued reached 80,000. The British Government nationalised radio by buying out the British Broadcasting Company and forming the British Broadcasting Corporation. The Australian Government held a Royal Commission into Wireless but didn't immediately follow the British lead. It did encourage the 'A' class stations to amalgamate in order to maximise efficiencies and maintain standards. 2BE closed due to financial collapse. The Government nationalises the transmission facilities and contracts the provision of programming to the Australian Broadcasting Company (now Australian Broadcasting Corporation), a consortium of entertainment interests. The Australian Broadcasting Company was nationalised by the Australian Broadcasting Commission Act (1932). This finalised the two-tier system with the national broadcaster, the newly created Australian Broadcasting Commission, having 12 stations, and the commercial sector, with 43 stations. On 29 June 29 1932, 2WG in Wagga Wagga, New South Wales went on the air on a purpose-built 2000 watt transmitter. At 8.00 pm on July 1 1932, the Prime Minister, Joseph Lyons, inaugurated the ABC. It then controlled 12 stations – 2FC and 2BL in Sydney, 3AR and 3LO in Melbourne, 4QG in Brisbane, 5CL in Adelaide, 6WF in Perth, 7ZL in Hobart and the relay stations 2NC in Newcastle, New South Wales, 2CO at Corowa, New South Wales, 4RK in Rockhampton, Queensland and 5CK at Crystal Brook, South Australia.